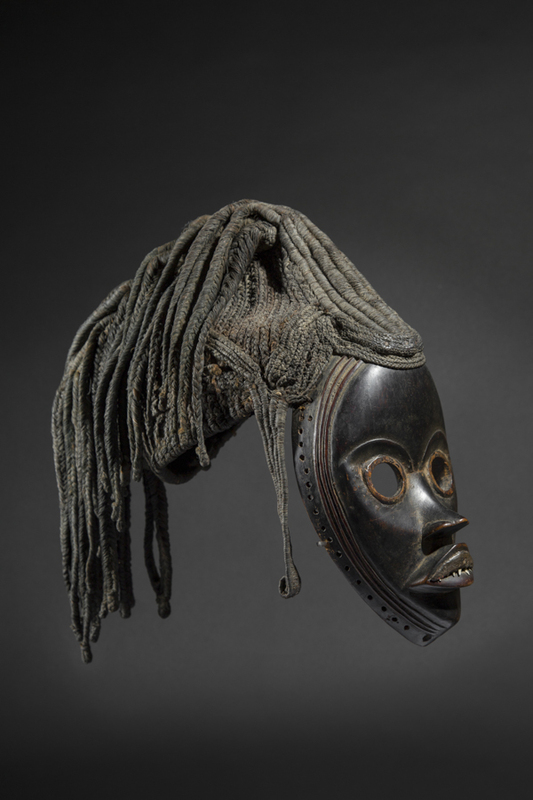 Magnified by a braided hairdo that is remarkable in it fullness and complexity, the refined features of this mask represent an idealization of beauty. 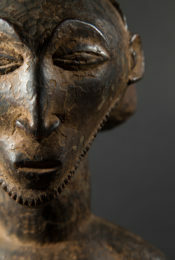 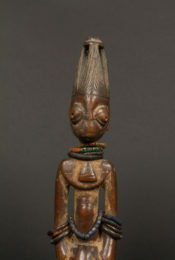 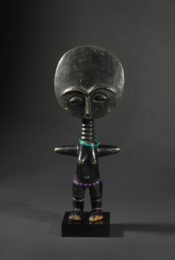 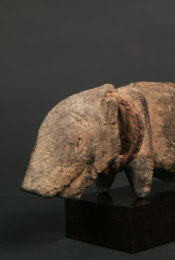 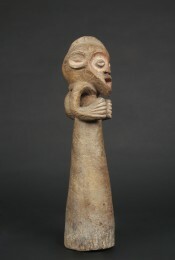 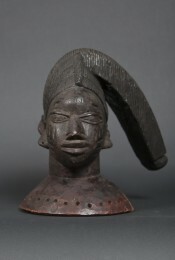 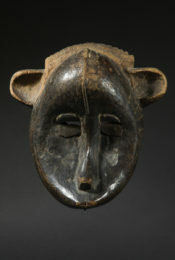 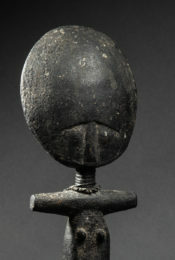 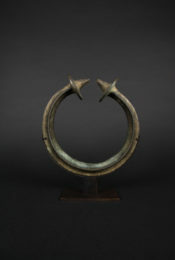 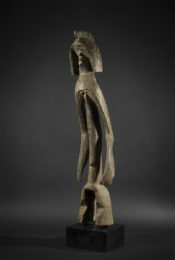 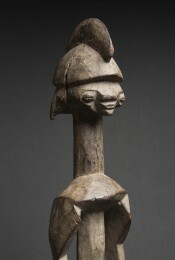 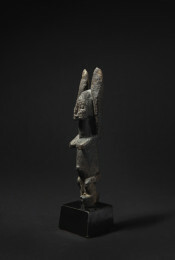 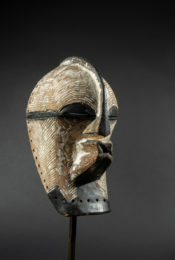 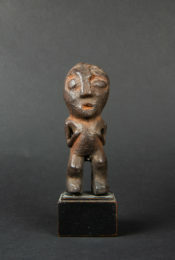 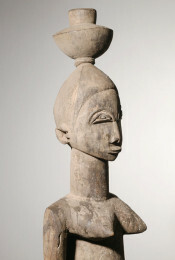 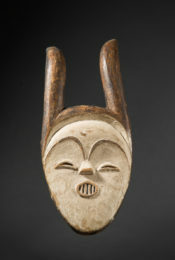 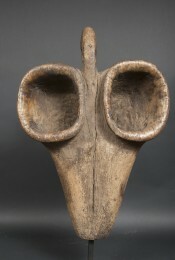 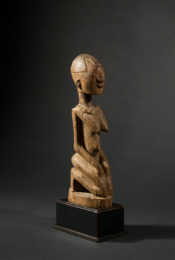 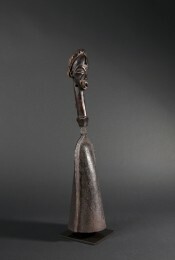 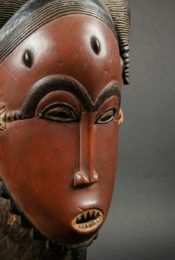 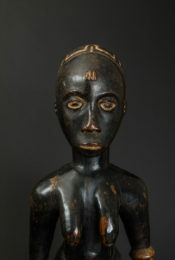 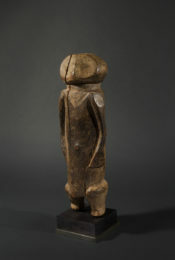 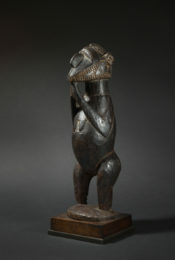 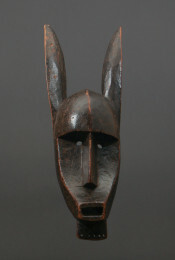 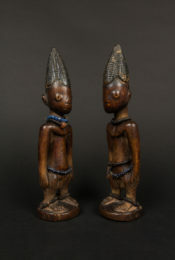 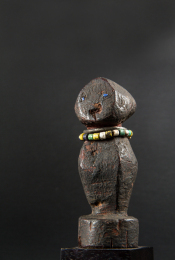 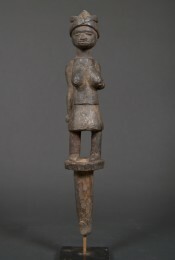 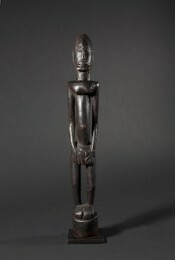 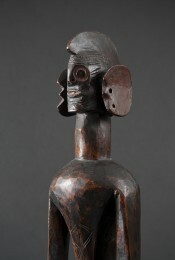 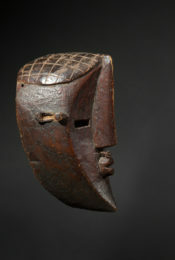 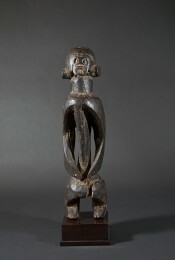 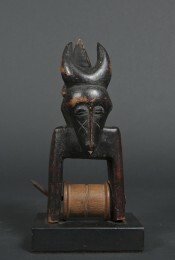 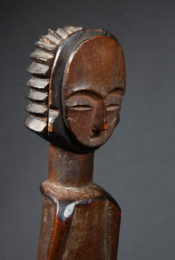 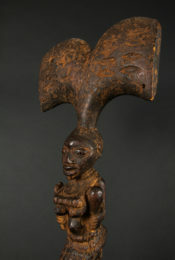 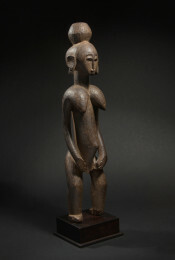 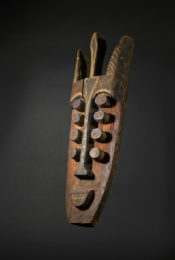 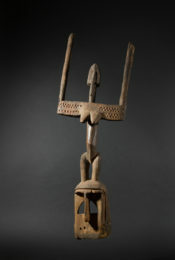 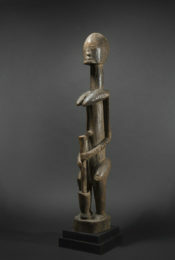 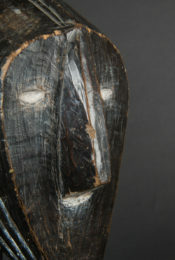 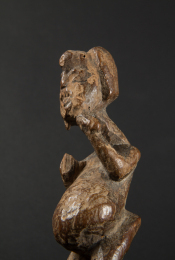 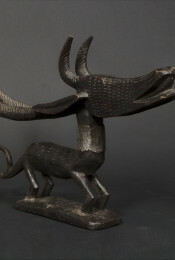 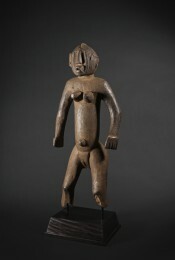 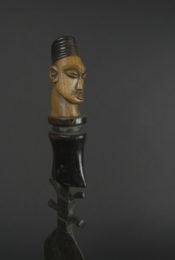 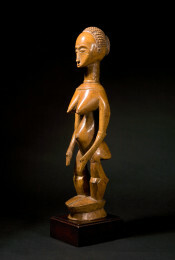 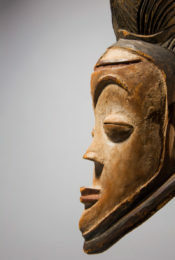 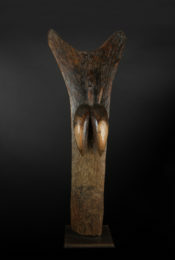 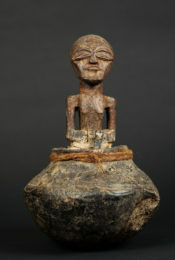 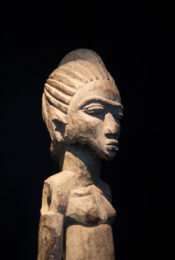 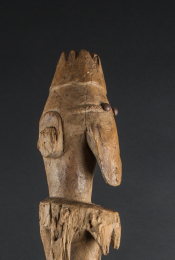 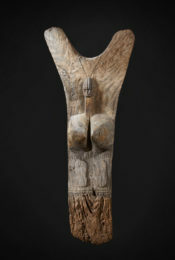 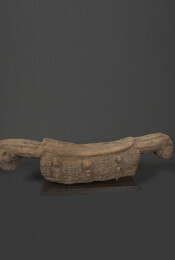 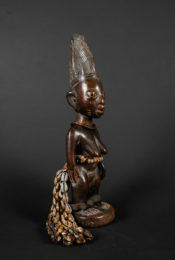 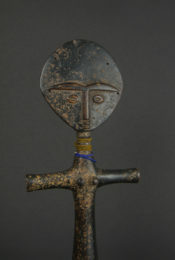 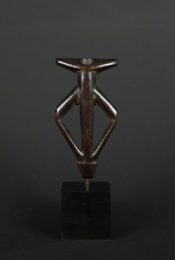 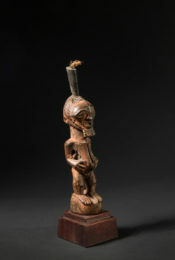 The elegance of its lines and its balanced composition identify it as belonging to the great classic art of Ivory Coast. 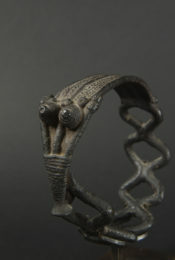 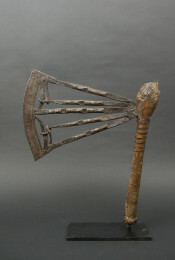 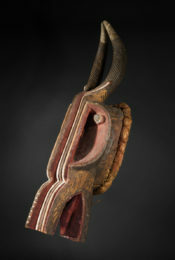 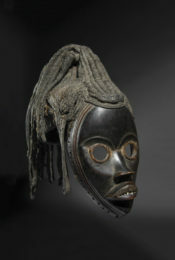 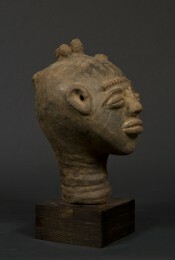 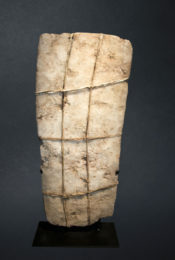 The three longitudinal bands framing the outline of the face – scarification motifs indicating nobility – are proof of the stylistic influence of the Diomande people, neighbors of the Dan. 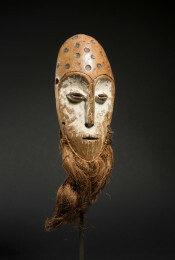 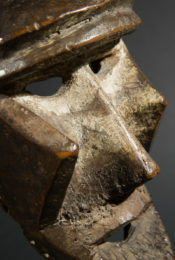 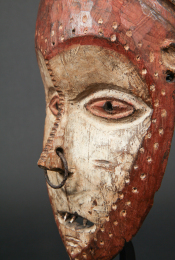 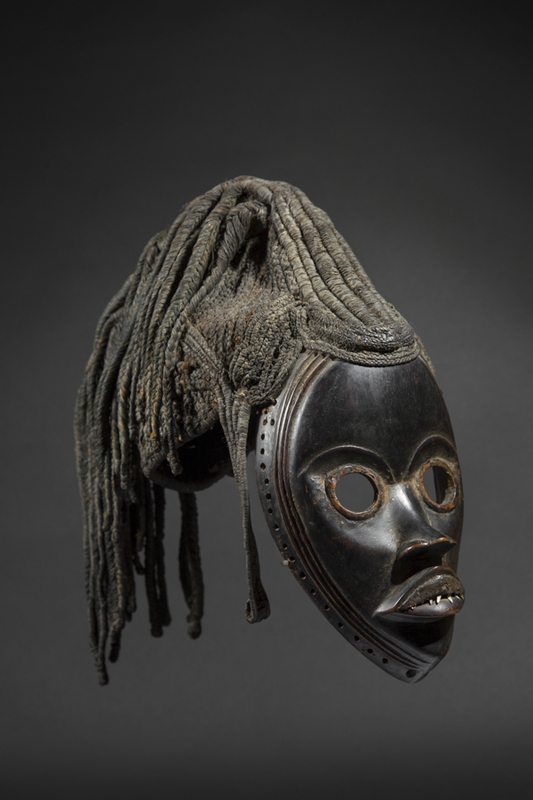 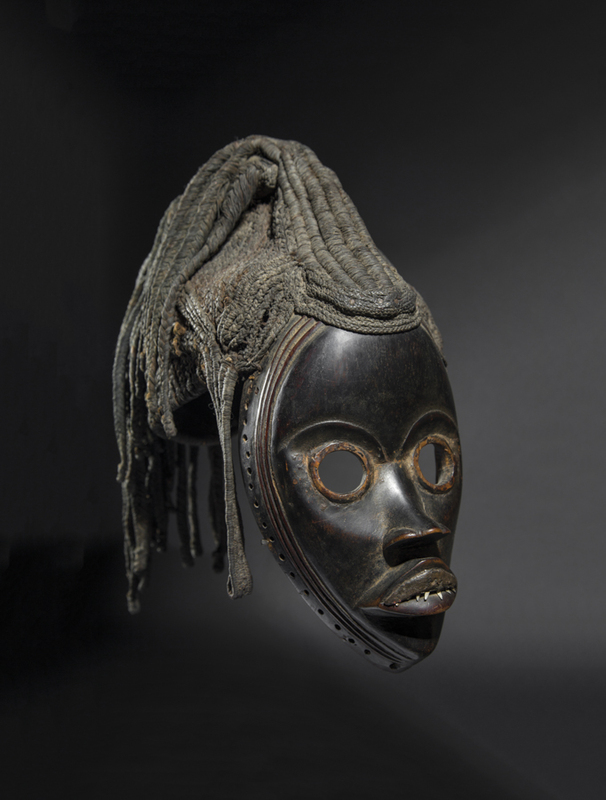 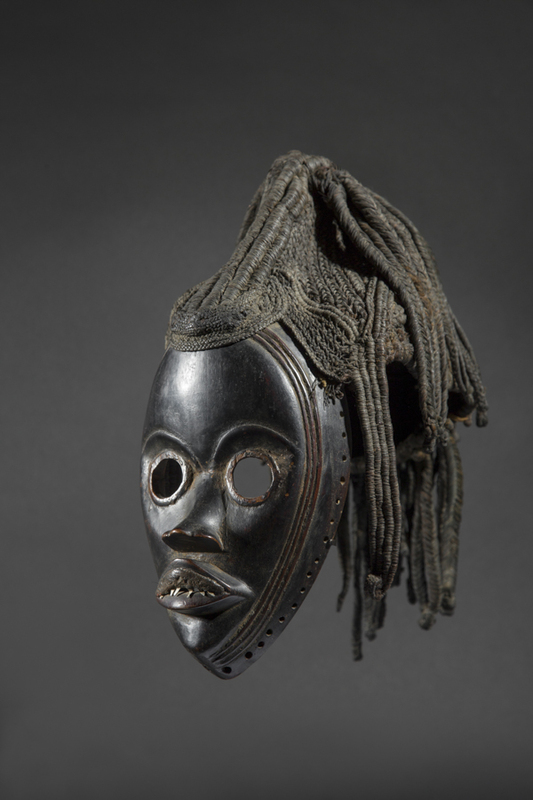 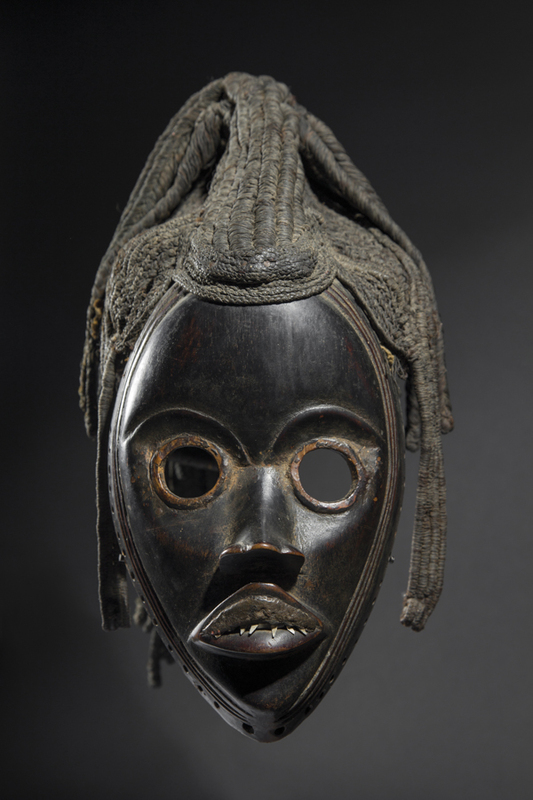 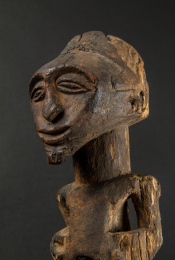 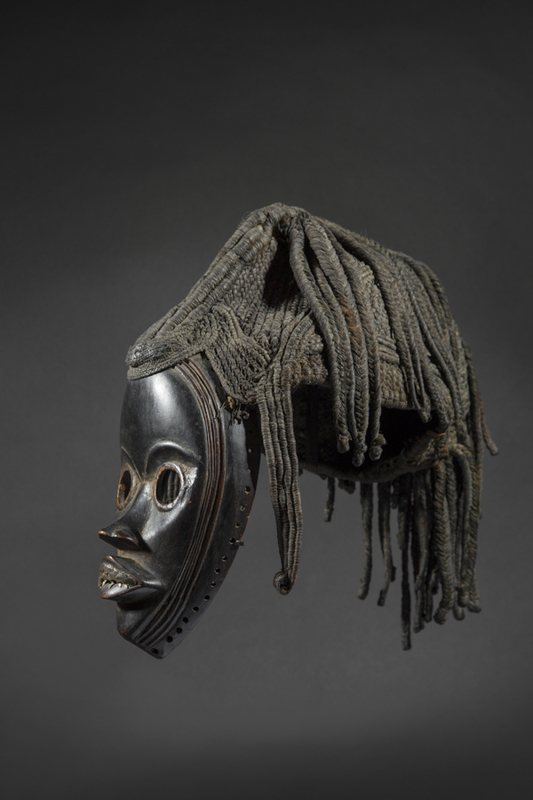 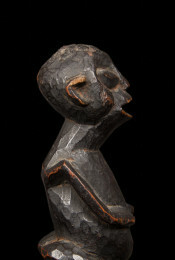 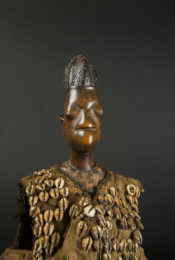 As Bruno Claessens notes in « Thoughts on Two Dan-Diomandé Masks », 2013), these masks did not depict ancestors, and neither were they portraits. 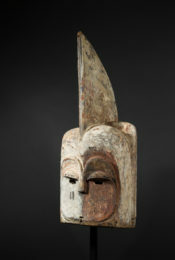 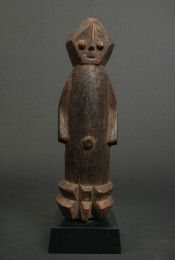 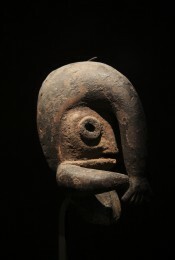 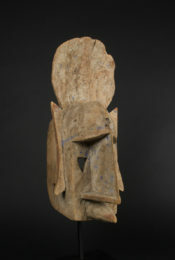 Instead, the masked performers impersonated supernatural beings and were a concrete representation of the power which connected the living with the supernatural world. 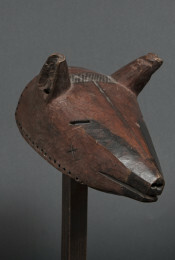 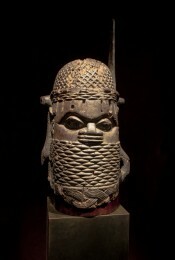 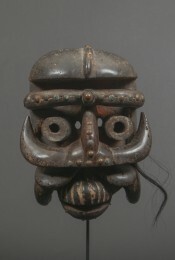 The Musée Barbier-Mueller (Geneva) possesses a similar mask, one that also still has its original coiffure (inv. 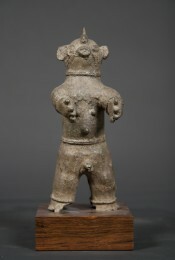 1003-14).